NARS is killing it this spring. There seems to be something to love in every launch so far this year from the Hot Sand Collection, Velvet Matte Skin Tints and freshly launched Spring Color Collection (a few items to be reviewed on the blog soon but in the meantime check out swatches on my friend Café Makeup’s page). I’m particularly smitten with the Hot Sand/Laguna Cheek Duo and the Velvet Skin Tints are There are two new palettes this spring, one for eyes and one for cheeks, both limited edition. 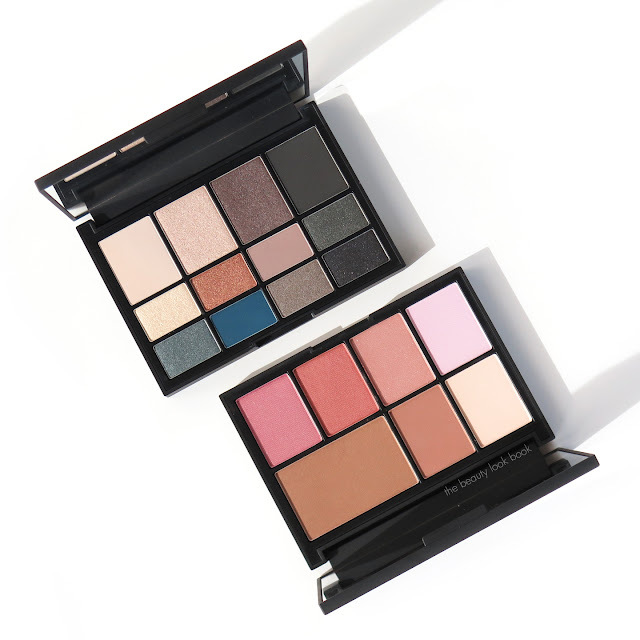 For eyes we have the NARSissist L’Amour, Toujours L’Amour Eyeshadow Palette ($59 for 12 eyeshadows) and for the cheeks there is the NARSissist Cheek Studio Palette ($65, Sephora Exclusive). Both of these come in some seriously sturdy packaging – they are cased in hefty mirrored compacts and I think the presentation is exquisite. The NARSissist L’Amour, Toujours L’Amour Eyeshadow Palette has twelve eyeshadows that seem to feature a new formula. Many of you have expressed dissatisfaction in the quality and texture of shadows in previous palettes (in particular the NARSissist Eyeshadow Palette from 2014ish). I haven’t tried all of the palettes NARS has launched, but never had an issue with texture. Size of pans has been significantly smaller in previous releases which I found a bit challenging to dip larger brushes into, but it seems as though NARS took all the complaints of past palettes and made changes for the better with this one. The texture of these is feels slightly creamy, but they are all powders – pigment is smooth and easy to layer. Some of the dark matte shades will go on a bit patchy if you use a medium to large brush – so I recommend trying a small detail dense brush to layer and blend the dark mattes. Overall performance is really good. With the exception of the one coppery shimmer shade, I would say the effect of this one is cool-toned. I do think you need a slightly creamy eyeshadow base to help bring out the pigment richness of the colors, but they perform really well alone too. My favorites are the Edward Bess Illuminating Eye Base, Laura Mercier Caviar Eye Sticks in Rose Gold and NARS Velvet Shadow Sticks. Application is excellent – there will be a little bit of fall out from the powders when you apply on the eyes, but once you have them on the lids – they stay put without fading or smudging. I found they lasted all day long nicely. Here’s a quick eye look with the neutrals using the four shades in the top row 1 and a little bit of the last color in row 2. I love that online at the NARS website, they did eye swatches of all 12 shades on three skintones. Check it out here. If you’re wondering how this compares to the Urban Decay Gwen Stefani Eyeshadow Palette (reviewed + swatched here), I would say both are excellent options. Picking one over the other is challenging because I think they are different in color options and texture. If you’re looking for something cooler-toned and want a palette that can take your look from neutral to smokey, go with the NARS. If you want something with warmer more neutral options, go for the UD x Gwen Stefani Palette. The textures of course are very different in each palette. The NARS has a creamy smooth buttery texture. The Urban Decay palette has a wider mix of mattes, shimmers, and sparkles – also the pink and bright blue offer a more vibrant/less neutral option. Onto the cheeks with the NARSissist Cheek Studio Palette ($65, Sephora exclusive). 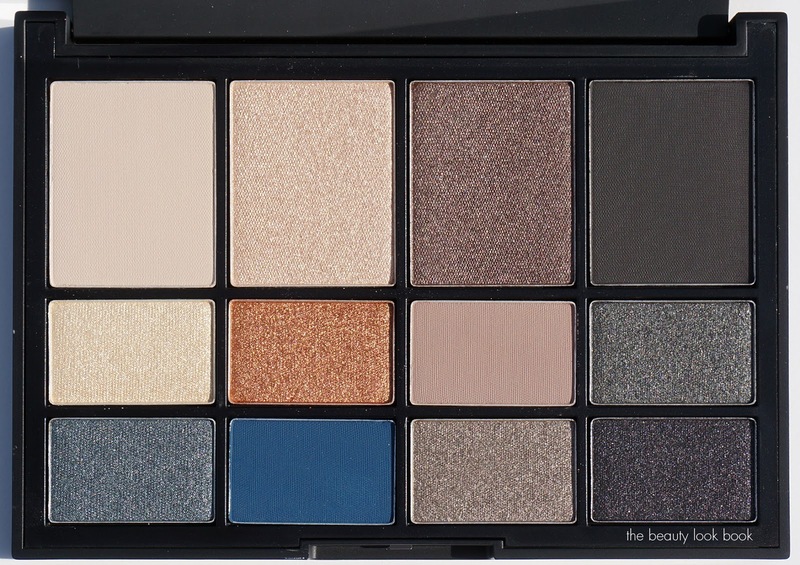 Many asked how this compares to the Steven Klein One Shocking Moment Palette from Holiday. I wasn’t able to buy (it sold out quickly) so I can’t compare the two in great detail. The top three shades are the same in each palette. Based on a google search, it appears the newest one for spring offers two shades that are lighter options on the bottom left half and then darker options for the bottom right half. I do believe that the one from holiday had two existing blush colors in Luster and Dolce Vita. The new one for spring offers four new shades on the bottom. 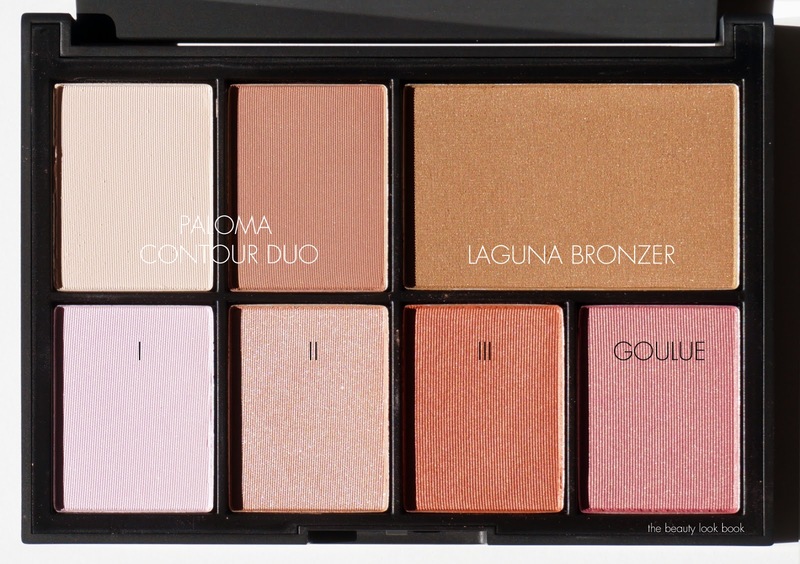 This seems to be an all-in-one kind of palette for the cheeks. It has contouring powders, a bronzer, and four blushes (two of which I think could pass for highlighters, at least on me). Paloma Contour Duo which is available separately. It offers richly pigmented matte powders in a soft pinkish cream color and a deeper contour shade that pulls mauve on my skintone. Laguna Bronzer is a classic shade (also available separately) that warms up the complexion and adds depth without looking orangey or too dark. It’s easily buildable for a natural glow or deeper bronze. In my college days there were many times where this was all I would apply on the cheeks. I is a pale pink that glows. It’s a matte base but if you look closely at the pan you will see tiny bits of finely milled gold shimmer. I was worried this would not show up on my skin, but it offers the prettiest baby pink glow. I hope this makes an appearance in full-size eventually. II is is light pink in the pan, but applies darker on my skin like a soft natural rose pink glow, I adore this shade. It has tiny flecks of silver sparkle but it’s not glittery on the skin. I think this palette will be a versatile one that will go with a wide range of looks for lips and eyes, but the overall color scheme seems to be on the medium to dark side which may be too much for fair skins if you find blushes tend to darken/oxidize on you. For me – I love a strong blush to add a bit of color and life to my face when I wear neutral lips. The texture of the blushes is smooth and easy to blend. I think it contains classics one can wear every day. The colors with the exception of the Paloma duo are all shimmery, but they don’t emphasize my pores or look frosted. There are a few new launches for face palettes to choose from this spring including the Urban Decay x Gwen Stefani Blush Palette (new shades) and MAC Contour and Sculpt Palette (value set with cult classics). You may want to browse stores or research swatches online before committing to a palette. I feel like this season we are on highlighter, foundation and blush overload. I just got both of the other two, I’ll try to review and compare them as soon as I can. I deem both of these palettes winners in terms of color selection, quality and packaging. They are travel-friendly and I love that they come with in a sturdy compact with a decent sized mirror which makes it easy to apply them on-the-go. They are both limited-edition. I think given the size and packaging the prices are very reasonable for a luxury beauty palette. You can find the NARSissist L’Amour, Toujours L’Amour Eyeshadow Palette for $59 online at NARS, Barneys New York and Saks Fifth Avenue (for some reason right now it’s listed at a higher price at Saks). The NARSissist Cheek Studio Palette retails for $65 and is exclusive to Sephora online and in stores. 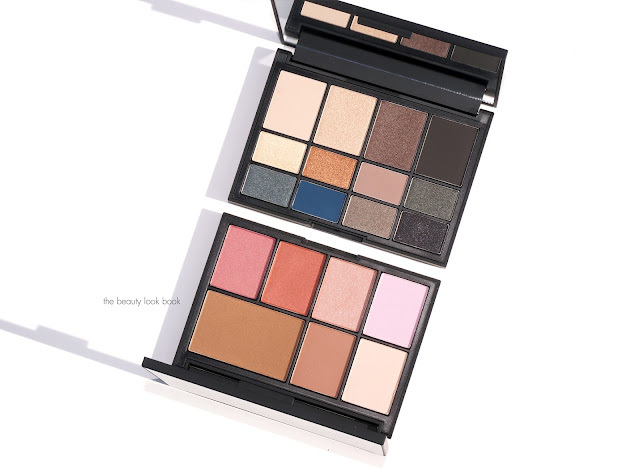 Have you checked out these NARS palettes yet? What did you think? Both palettes were sent courtesy of the NARS team for review consideration.